There are 2 ferry routes operating between Italy and Kefalonia offering you combined total of 2 sailings per week. Ventouris Ferries operates 1 route, Bari to Sami which runs 1 time weekly. Red Star Ferries operates 1 route, Brindisi to Sami which runs 1 time weekly. As the frequency and duration of crossings on some routes varies we would advise that you do a live search for crossings from Italy to Kefalonia to get the most up to date information. 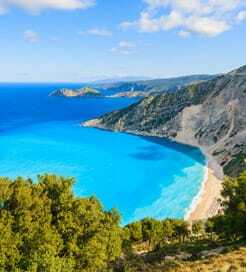 Kefalonia is the largest Greek island in the Ionian Sea, sitting just off the mainland’s west coast. Thanks to its sheer size, quiet beaches can be found all year round, which are also some of the most photogenic stretches of sand in Greece. It is, therefore, a popular holiday destination for couples and families, with plenty of hilltop villas overlooking the vividly blue sea. Yachters and sailors usually flock to the beautiful port town of Fiscardo, unique in how it remained virtually intact after the 1953 earthquake. Kefalonia is also known for its quaint seaside villages, medieval castles, charming chapels and magnificent coastal caves. And, it was where the Hollywood film, ‘Captain Corelli’s Mandolin’, was filmed, all offering days’ worth of sights and attractions. Given Kefalonia’s appeal, it boasts an impressive ferry network with a couple of excellent ports along the east coast. 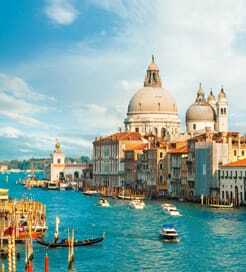 You can either hop one of the many domestic routes from the mainland and nearby islands or sail overnight from Italy.